The cover of Room to Dream features a black-and-white photo of a little boy sitting on the front porch of an old house. It'd be cute except for the title above his head, scrawled in a font that belongs on a horror-movie poster. Suddenly the colorless photograph doesn't arouse nostalgia, it creates a sense of unease, as though there might be something lurking in the shadows behind the smiling child. Fitting for the autobiography—of sorts—of David Lynch, a man who has dedicated his career to presenting bourgeois life as a veneered rotting corpse. 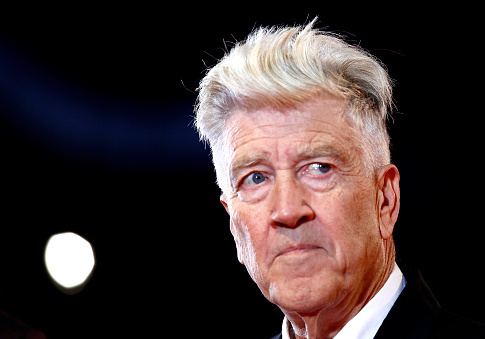 Lynch is perhaps best known to mass audiences for his television show Twin Peaks, though his films like Eraserhead, Blue Velvet, and Mulholland Drive have made him a critical darling as well. His oeuvre can be summed up in one word: weird. His works look like the product of a deranged Wes Anderson, with obsessive detail put into creating unique worlds that would be beautiful if they weren't so darn haunting. Not content to be normal in anything he does, Lynch's memoir is a biography/autobiography hybrid, in which he alternates narrating his life with coauthor Kristine McKenna. They follow a pattern, where McKenna writes a chapter giving a third person account of Lynch's life, based on documents and interviews she compiled, then Lynch follows by giving his account of the same period of time. The purpose of this odd format is to show "a person having a conversation with his own biography." It's an interesting idea, but one that falls a bit flat in execution. There aren't many differences in the perspectives, and although Lynch is occasionally able to provide some interesting details only known to him, much of what he writes merely repeats the chapter before. It is, however, the chapters that Lynch writes that prove the strong point of the book. He has a decent writing voice that makes his regurgitation of the facts of his life more interesting than McKenna's very dry, textbook style. Lynch once described his childhood as "Middle America as it's supposed to be," and Room to Dream confirms he wasn't exaggerating. The portrait of his family's 1950s life given by both Lynch and his siblings is Rockwellian, with two loving, conservative, Christian parents, siblings who adored him, and a wide array of friends to round out his middle-class existence. Lynch was even considered the golden boy of his high school, and many words are taken up with tales of his extensive love life. As well-adjusted as he seemed to be, when reading about this portion of his life, one can't help but think, "How on earth did he turn out the way he did?" That question is probably why most will pick up the book in the first place. A memoir should give readers some insight into how the author came to be who he came to be. A satisfactory answer to that question is never really given in Room to Dream, though some amusing anecdotes are given along the way—his childhood involved a lot of blowing things up, apparently then a popular pastime in Idaho—as well as some far too personal ones (not much is added to our understanding of Lynch by reading his description of his first foray into onanism). That's the issue with the memoir as a whole. It's rich in detail and very personal, but fails to provide much insight into the subject himself. Lynch's professional life receives much more attention than his youth in the book. We get to follow him through his career, from his first short film Six Men Getting Sick (Six Times)—an experimental animation that depicts exactly what the title describes—to his work on Blue Velvet—a film Lynch's sound editor found so disturbing he quit mid-production—to his time on the set of Twin Peaks. Lynch shares intimate details like the time he made out with Elizabeth Taylor at an Oscar after-party and when he got a call from Dennis Hopper begging him for the role of Frank Booth in Blue Velvet because of how much he identified with the character. That said, the bulk of the information in this book can be attained more easily, and for cheaper, on Wikipedia. Lynch ends the book by writing, "It's impossible to really tell the story of somebody's life, and the most we can hope to convey here is a very abstract ‘Rosebud.'" Lynch and McKenna have stuffed Room to Dream to the brim with facts and stories and memories, but even after parsing through it all, like Jerry Thompson in Citizen Kane, we still don't have enough information to understand his Rosebud.